If you’re taking blood pressure medication and feel depressed or anxious, a recent study published by the American Heart Association suggests that there could be a direct link between the two. Some common blood pressure medicines were associated with an increased risk of mood disorders like depression and bipolar disorder. Other medical conditions also seem to make the problem even worse. For many people with high blood pressure, the condition is chronic and requires constant attention to stay healthy. Once your doctor has prescribed blood pressure medication, it can become a lifelong treatment that you rely on – even as it makes your depression, anxiety or mood swings worse. Additionally, many anti-depressants can make your blood pressure worse, and it can become vicious cycle. 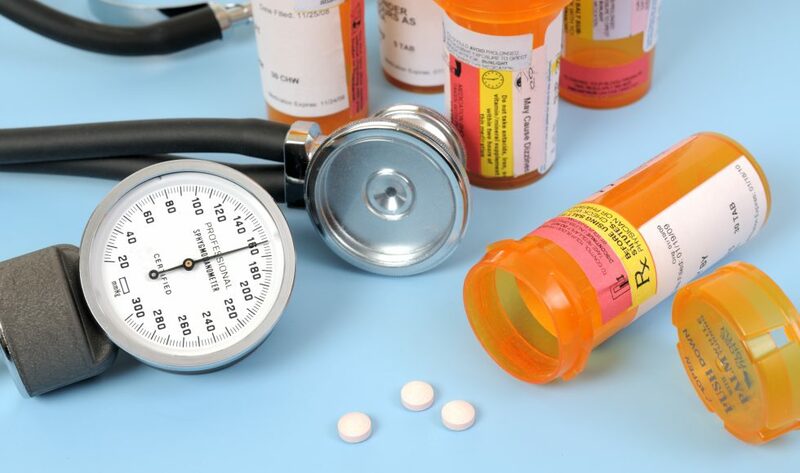 This troubling new information about blood pressure medication highlights the need for finding a better alternative now to treat your high blood pressure for the sake of your long-term physical and mental health. One alternative, pill-free form of therapy is showing tremendous promise for those looking to reduce their dependence on blood pressure medication. Learn more about this unique therapy at https://www.zona.com/ or read on now. At first glance, the Zona Plus™ device may look like something directly out of a sci-fi movie, but the technology is entirely unique in the medical field, based on decades of scientific research. More than 20 clinical studies have demonstrated the effectiveness of Zona Plus therapy in reducing blood pressure by an impressive average of 10% within weeks. Zona Plus users report better, lower and healthier blood pressure using their Zona Plus device for only minutes a day – without any of the dangerous side effects medications can cause. Research suggests that Zona Plus therapy triggers positive physiological changes in your body that naturally lowers blood pressure. Regular use increases the diameter and flexibility of your arteries, returning them to a more youthful state. The proven therapy of the Zona Plus can possibly reduce – or even eliminate – your long-term dependence on blood pressure medication and the side effects that can come with it. Imagine the chance to live medication-free while enjoying a healthier blood pressure, without making your depression or anxiety worse. Thousands of people have already turned to this incredible smart technology. Now is the time to take charge of your health, naturally and effectively, risk-free. Zona Plus comes with a 90-day, money-back guarantee. If you don’t see results within weeks, you can send the device back for a full refund. As a limited time offer, Audacious You readers can receive an exclusive discount of $25 with offer code BP25 at checkout. Visit https://www.zona.com/ to learn more about this incredible drug-free alternative to healthy blood pressure – and get your own Zona Plus smart device today. Make the commitment to a healthy blood pressure and a happier, better life, naturally. 2 Responses to " Blood Pressure Medication Linked to Depression & Other Mood Disorders "
First, we are sorry to hear about your health issues. It’s never fun being sick. The good news is that Zona Plus would help you. A lot of our customers are around the same age. Our product helps lower blood pressure naturally without medication. That’s why Zona Plus is different. Our hand-grip therapy takes just 12 minutes a day, and you can do it from the comfort of your own home. You can even doing it while still in bed!